This course is for the novice user who has little or no experience with Microsoft Excel except for my Excel Beginner Level 1, 2, 3, and 4 courses. Today's course covers a wide variety of topics that didn't fit into any other lesson, but are important to learn. We'll start by learning how to insert hyperlinks, text boxes, signature lines, and other objects into our sheets. Next, we'll learn how to insert symbols and other special characters into our sheets - including foreign language letters. We'll also learn how to insert WordArt. You will learn how to work with Headers & Footers. You'll see how to manually create a header, enter in your own text, and use special codes to represent the page number, total number of pages, date & time, and more. You'll also see how to use the built-in Header & Footer templates. Next we'll learn how to work with large spreadsheets. You'll learn how to freeze panes (the top row or the left column) so you can scroll around and still see the headers in your sheet. You'll learn how to split your sheet into two so you can work on two sections at once. You'll learn how to work with borders and gridlines. 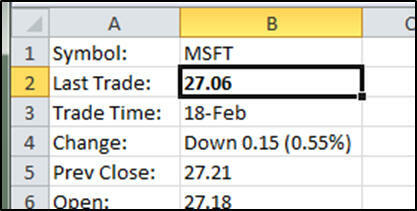 You'll learn how to change the visible borders in your spreadsheets, and choose whether or not to print gridlines. You'll learn how to merge cells (merge and center, merge across, unmerge), change cell orientation, rotate text, and use the Format Painter to quickly copy cell formats. We'll learn how to put comments in our cells so you can store additional information in your spreadsheets. We'll see how to edit, delete, and permanently show or hide the comments. You'll learn how to use Excel's research tools to spell check your sheet, use the thesaurus, translate words, and even download real-time stock quotes from the web and insert them into your sheets. 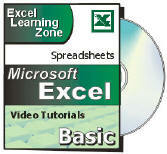 Finally, you'll learn how to download spreadsheet template from Microsoft Office Online. We'll download a calendar template, an invoice template, and a mortgage calculator template. There are thousands of templates online that you can choose from. Again, this is the perfect class for anyone who is new to Microsoft Excel 2010 and has finished my Excel Beginner Level 1, 2, 3, and 4 courses. If you have little or no experience with spreadsheets, or you just want to get familiar with how Excel 2010 works, this class is for you. to the ribbon or is there a key shortcut that will work. Also, how can I add a true font to Excel's font list. In Word you can go into Options > Customize the Ribbon and pick All Commands. You'll see superscript and subscript in the command list. I checked for Excel and I didn't see them. 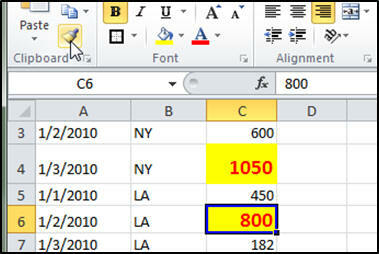 I don't think it's possible to add those commands to the Ribbon or Quick Access Toolbar in Excel. Can anyone else prove me wrong? Adding a TrueType font is something that you do at the Windows level in your Control Panel. Carol Brown on 11/21/2011: Thanks for the help. Your classes are better than I have taken at the University. Sean R on 3/11/2013: While I was following your instruction of how to mark the pages using Header & Footer, my sample spreadsheet will give me the same page number as I switch to another blank page. How do you fix that? jagdish chopra on 3/13/2013: When I enter email address in a cell, it does not automatiacally become useable e-mail address I can use unless I type in hyperlink e-mail address. Help! Roy Gushwa on 5/3/2013: Each time I click off off the comments, they do not hide. I have added 2 and they are visible and do not go away. Thoughts? Right-click on the cell with the comment and select HIDE COMMENT. Matthew Gayle on 1/25/2014: If you embed an object in a spreadsheet, then send that spreadsheet to someone, does the object go with it too? Say I embed a short video (movie)...will it send with the Excel spreadsheet? Suzanne Charney on 2/18/2014: I wish Richard Rost was my teacher in school. Jafar Abdalla on 4/4/2015: Is there a way to not let the size of a cell affect the size of other cells on the same row? 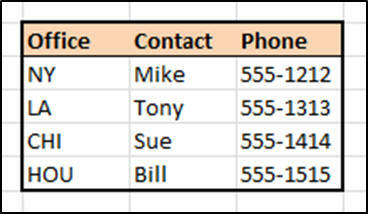 For example, after you increased the font size for the Contact Info cell it not only increased the size of that cell but also the cells in that whole row. If you're viewing the data through a Form then you can change the size of each Textbox. If you are viewing it at a Table Level then they will all be the same size. I'd advise making a Form to view the data. Rajiv Dass on 11/20/2015: Hi Richard, Excel 2010 Beginners 5, lesson 3 (3:33) you stated "&" the ampersand sign as the "@" AT symbol.